Dakara was the first planet visited by the Alterra when they arrived in Avalona. It developed into a cultural and scientific center for them over the years that they occupied it. In a stroke of graceful poetry, the alterra decided to base the Legacy Project on Dakara. It was the world in which they started their civilization in Avalona, and it will be the world that starts their seed species. Millions of years after the death of the Alterra, the Goa'uld discovered Dakara. They held the planet until Teal'c and Bra'tac liberated it during the Jaffa rebellion. It served as the center of the Jaffa nation until Adria attacked and destroyed much of the infrastructure and the seeding device. When Ryan Stevenson approached Bra'tac about reestablishing the System Lords under the Alterra, Bra'tac knew exactly which planet he wanted as his headquarters. Dakara had been a major planet for the Alterra, it had been a religious site for the Jaffa under the Goa'uld, it had been the headquarters for the Free Jaffa, and now it would be the headquarters for the Jaffa who served the Alterran System Lords freely. Bra'tac and Stevenson have transformed the surface of Dakara. There are multiple alterran cities on the planet, each of which was built with amazing speed. Shipyards capable of building both the H'tel and Alket ships are present. 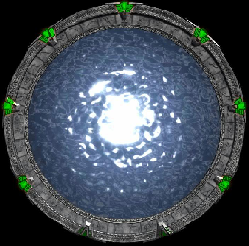 A spire near the stargate, now contained within an impossibly tall building, has an eternal flame that represents the covenant between the Alterra and the Jaffa. Included in the the spire are a full sensor package, a shield, and a compliment of pesqua.